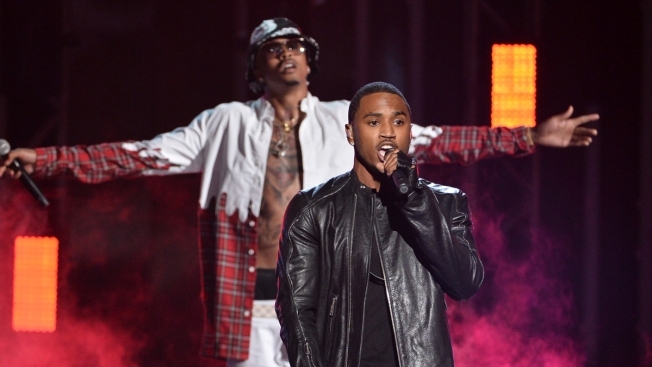 Nearly a week before he was arrested for destroying a stage in Detroit, singer Trey Songz had a run-in with law enforcement in Prince George's County, Maryland. The Virginia native, whose real name is Tremaine Neverson, says he was kicked out of the new MGM National Harbor Casino after an incident on Dec. 23, according to The Washington Post. According to an expletive-laced post on Instagram, Songz said he was playing at a table when a man at another table started "taking crazy." Songz's security detail approached the man, and that's when Songz and his crew were booted for being "unruly," according to The Washington Post. “F--- the police, f--- the MGM," Songz said in a video shot in various spots of the casino after the alleged incident. Songz said a staff member at MGM later offered to accommodate him if he deleted his posts on social media. On Dec. 29, Songz was charged with aggravated assault and assaulting a police officer after authorities said he threw microphones and speakers from the stage during a performance at Detroit's Joe Louis Arena.